Mold is a fungus that grows in moist conditions, and the basement is one of its favorite breeding grounds. 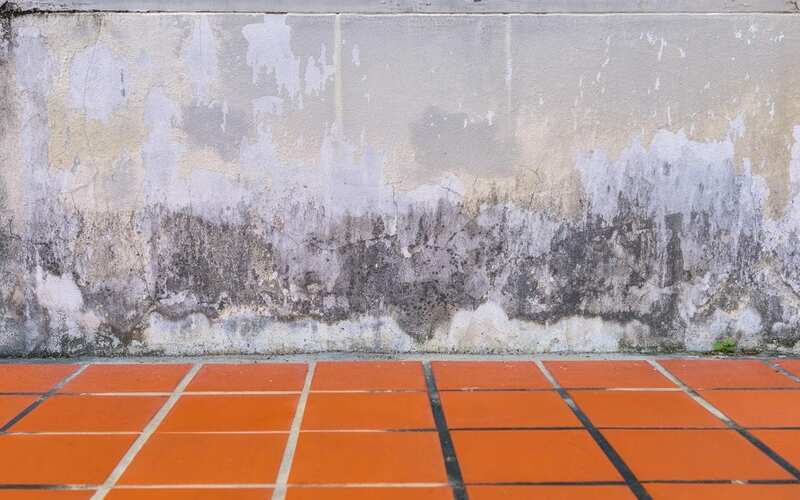 Homeowners fight mold in the basement every single day, well-aware of the dangers it presents for both the health and well-being of a family and the damage it causes to the home. Mold growth can make the basement unusable, wasting valuable space in the home. Furthermore, mold increases asthma and allergy symptoms and increases the risk of respiratory infections. Once it begins breeding, basement mold growth is difficult to eliminate. By controlling humidity and moisture levels, you can minimize and eliminate mold growth in your basement. Mold needs a humidity level of about 60% to produce spores and grow. Most places in the U.S. rise above this level during the summer months. It is important that you’re prepared to fight back against these high humidity levels to keep your basement free of mold. Using a hydrometer, you can easily measure the humidity levels in the basement (or anywhere else in the home for that matter) to ensure that the humidity is below 30%. If your hydrometer shows high humidity levels in the basement, it is imperative to take action at once. Many homeowners use a dehumidifier in the basement if high humidity levels are detected. Dehumidifiers quickly remove moisture from the air and can help in areas prone to moisture. Dehumidifiers are inexpensive to purchase and easy to use. Aside from the addition of a dehumidifier, homeowners have a number of other tricks to reduce the potential risk of mild growth in their basement. Indoor plants are beautiful, but they also cause humidity-related concerns. It is best to avoid placement or cultivation of plants in the basement. Do not use a dryer in the basement. Using a dryer or other heat-producing items inside the basement increases humidity levels considerably. If mold or mildew is found growing in the basement, do not attempt to treat the problem on your own. Not only is it unhealthy to remove basement mold growth on your own, it will likely result in less than thorough results. It is important that the source of the mold growth is identified and treated, oftentimes requiring the expertise of a professional. It is better to be safe than to be sorry when mold growth is spotted in your basement! It’s important to hire a professional home inspector if you suspect that you may have a mold problem in your home. Contact Cal Home Inspection if you need an inspection in Sacramento and the surrounding area.